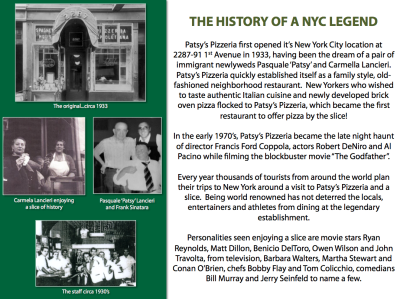 Patsy’s Pizzeria first opened it’s New York City location at 2287-91 1st Avenue in 1933, having been the dream of a pair of immigrant newlyweds Pasquale ‘Patsy’ and Carmella Lancieri. 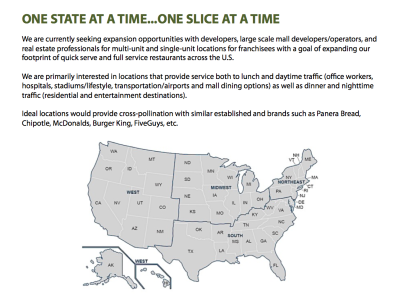 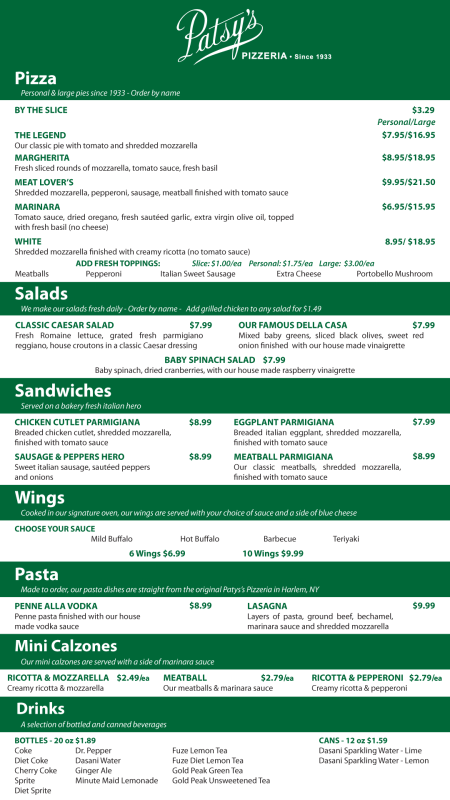 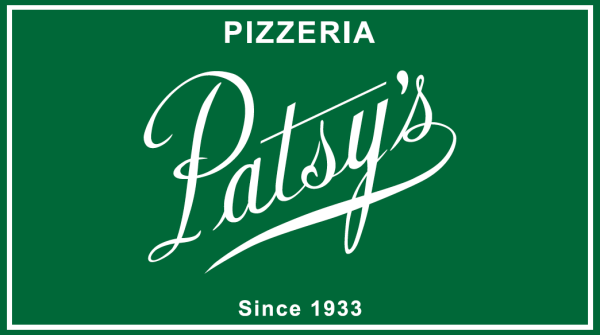 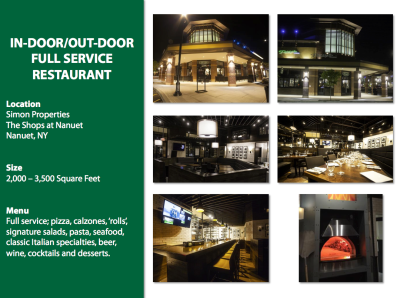 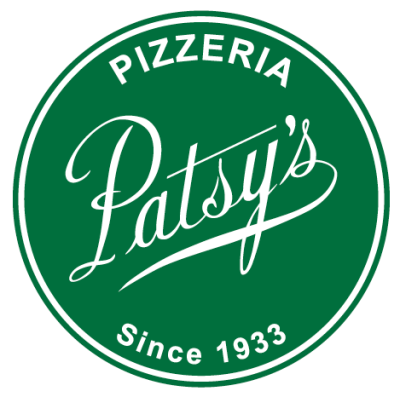 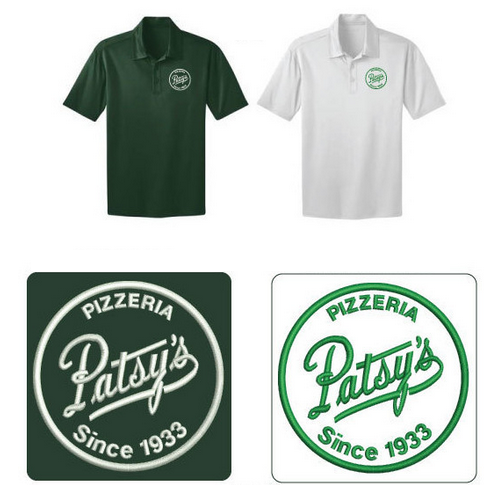 Patsy’s Pizzeria quickly established itself as a family style, old-fashioned neighborhood restaurant. 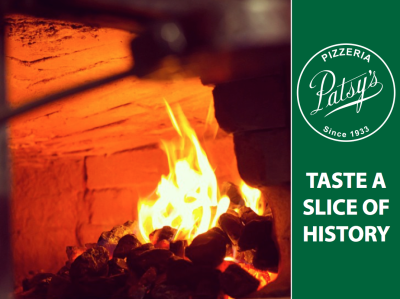 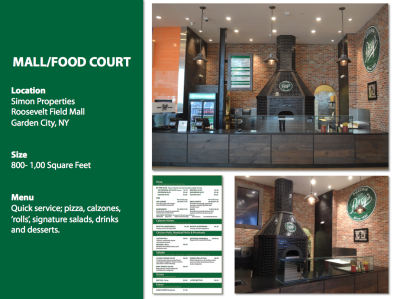 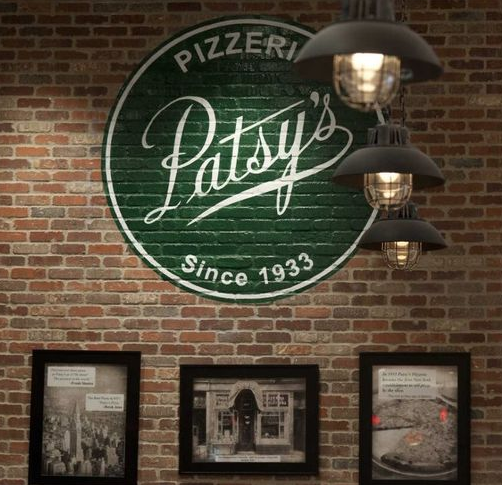 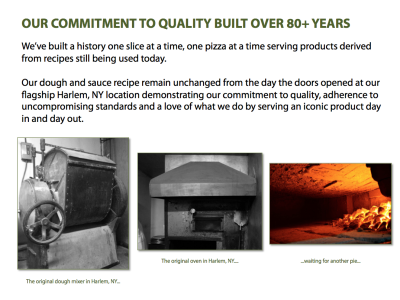 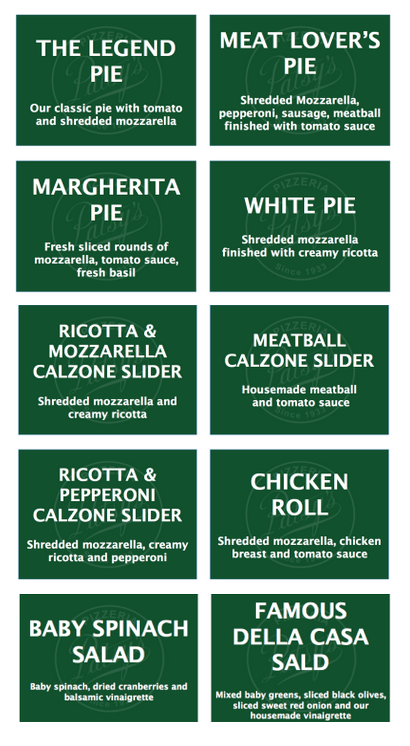 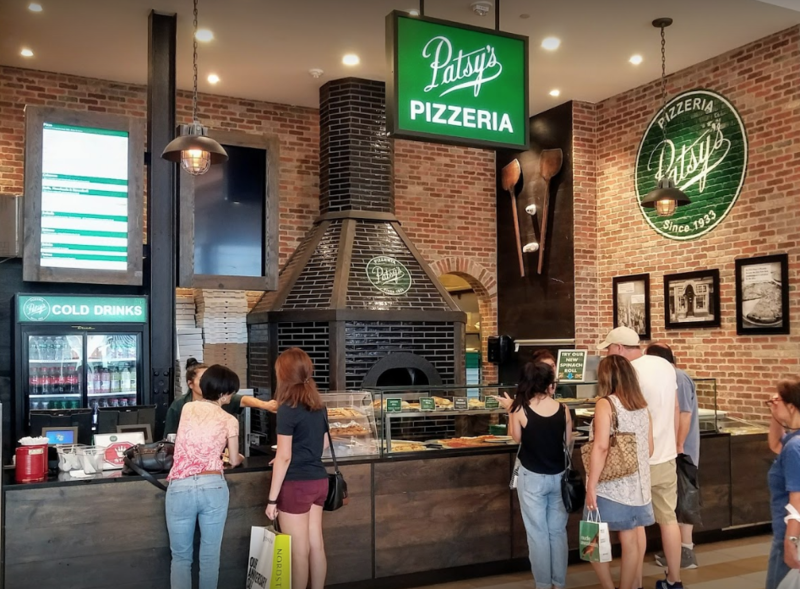 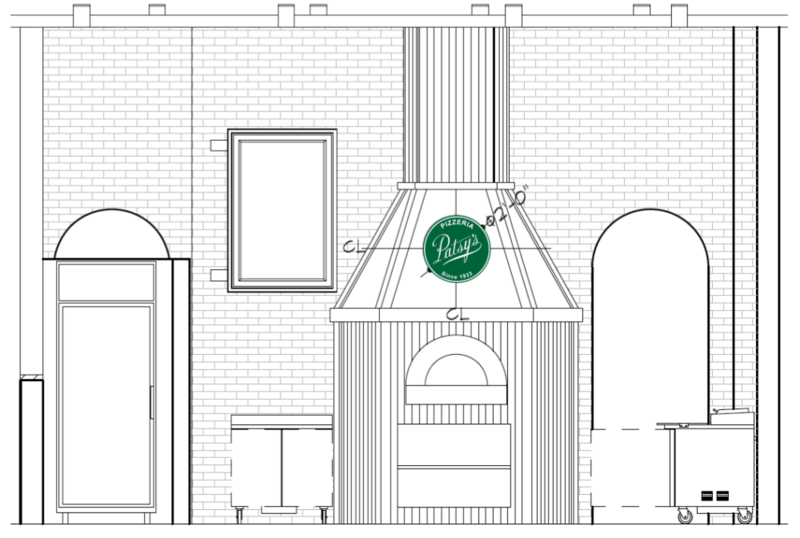 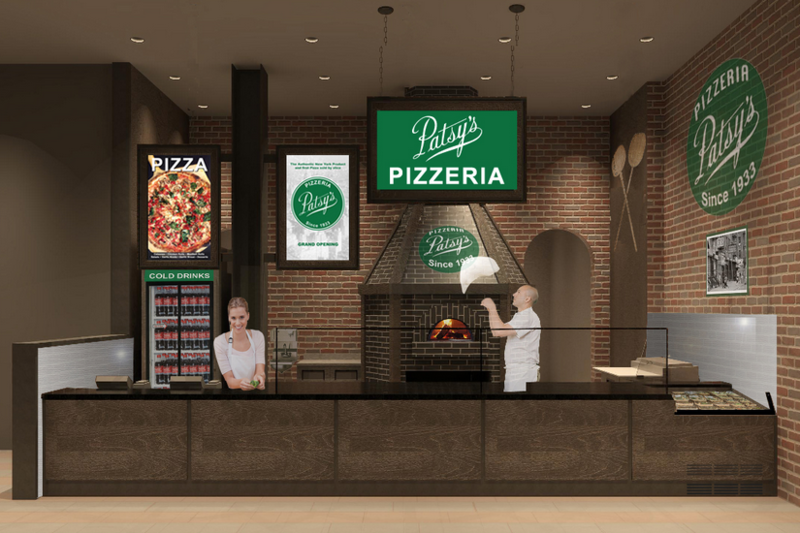 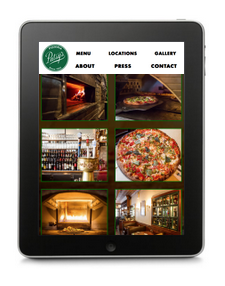 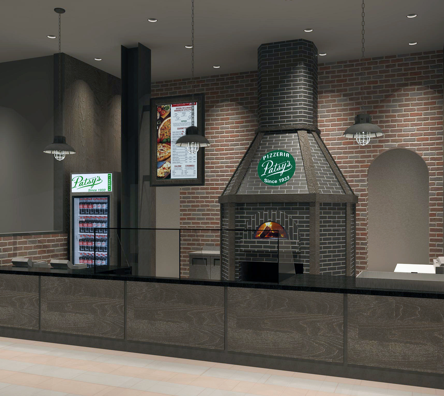 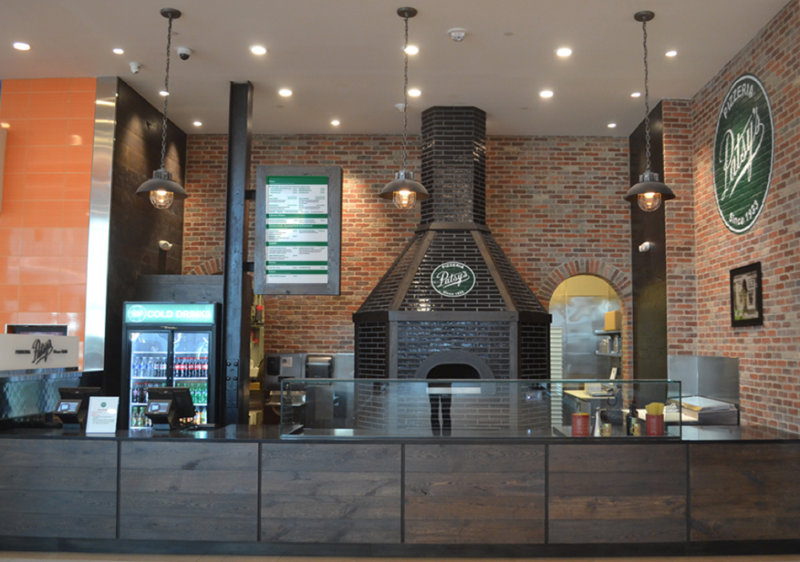 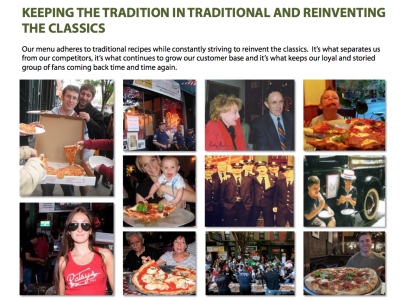 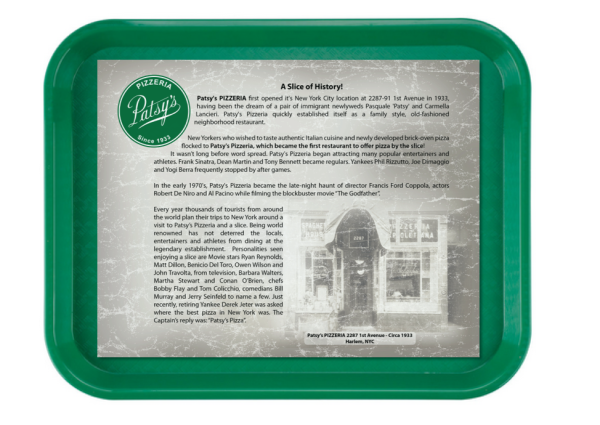 New Yorkers who wished to taste authentic Italian cuisine and newly developed brick oven pizza flocked to Patsy’s Pizzeria, which became the first restaurant to offer pizza by the slice. 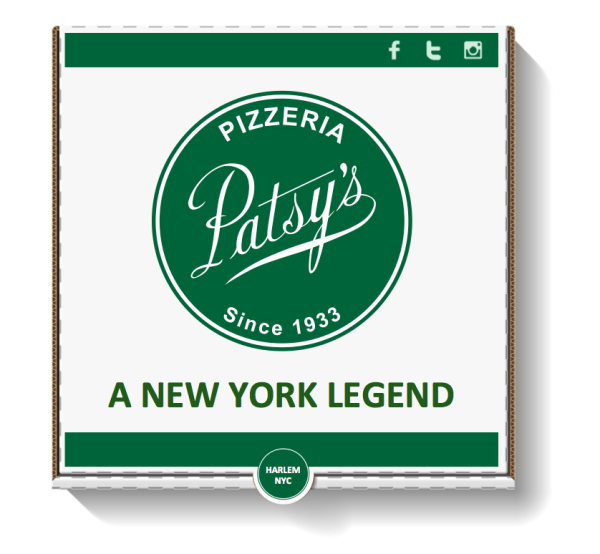 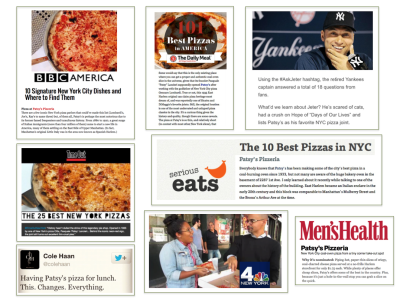 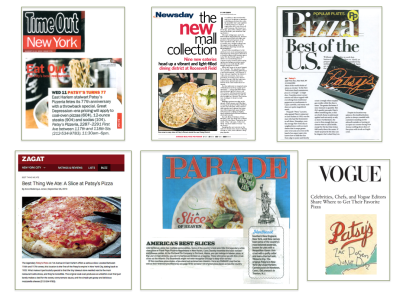 Every year thousands of tourists from around the world plan their trips to New York around a visit to Patsy’s Pizzeria and a slice. 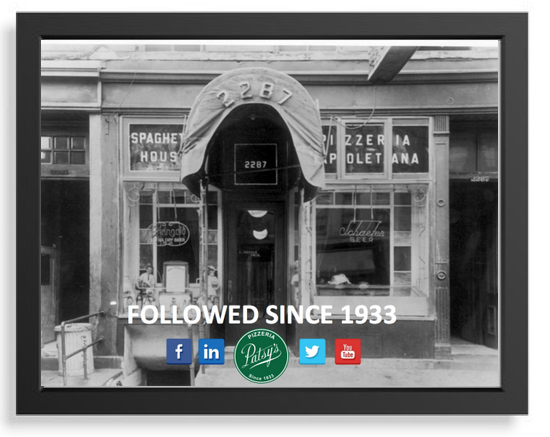 Being world renowned has not deterred the locals, entertainers and athletes from dining at the legendary establishment. 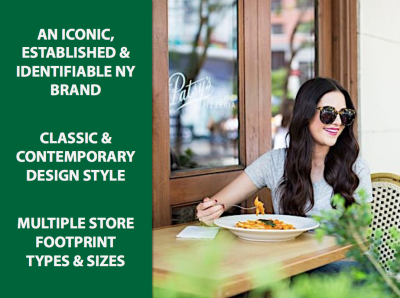 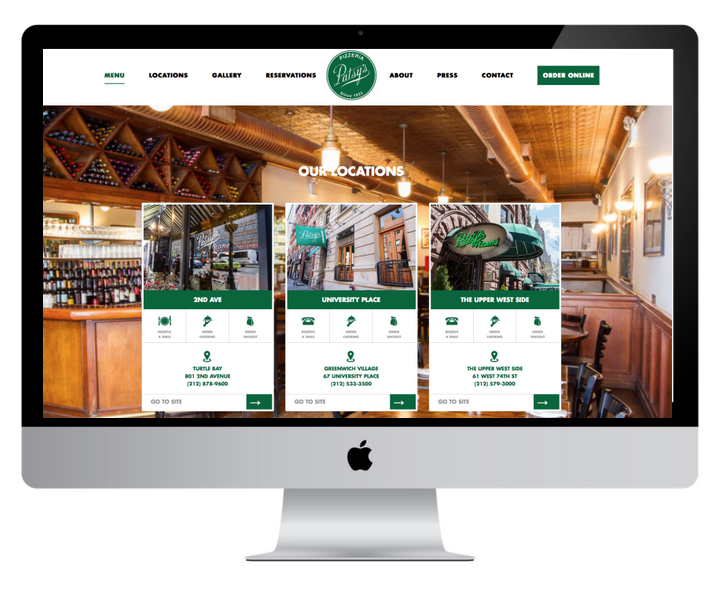 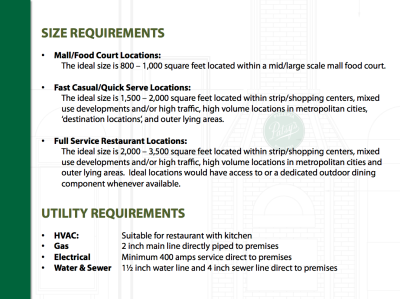 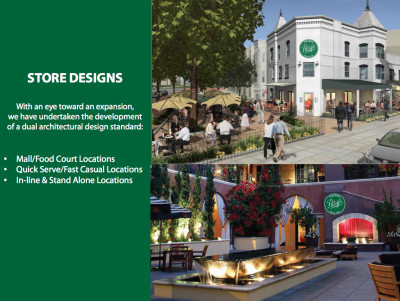 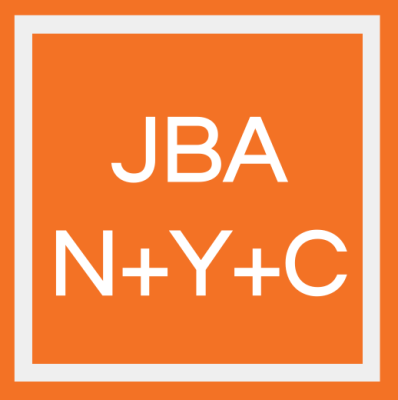 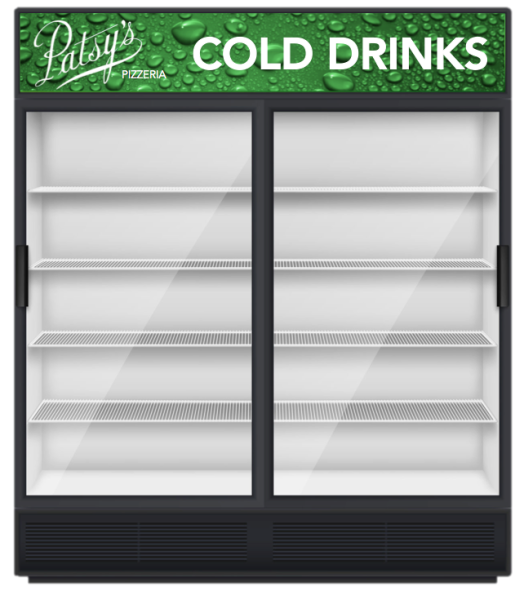 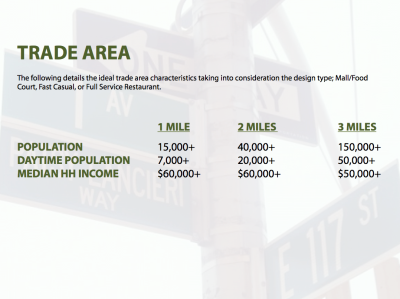 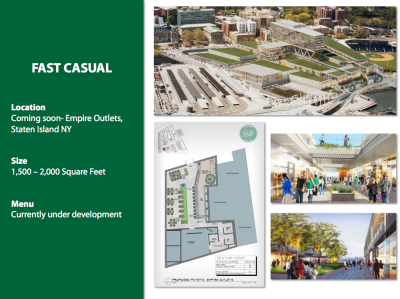 By executing a brand re-fresh and establishing brand standards and a solid infrastructure, we've ensured this iconic NY institution will continue to live on in infamy.